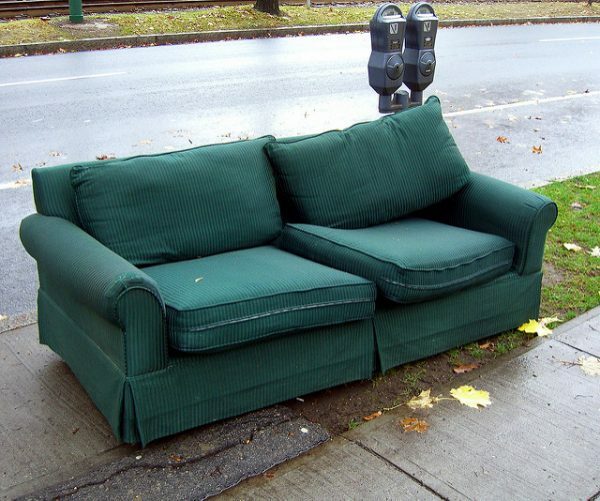 Did You Read the Dear Prudence About the Ex Who Left $10,000 in Cash in a Couch? Photo credit: walknboston, CC BY 2.0. I just got out of a financial and romantic wreck. My boyfriend moved his mistress into my guest bedroom, telling me she was a co-worker who “needed a place to stay.” During this time, he sideswiped a fence while driving my car (his had stopped running), causing $2,000 in damage. When I found out the truth, I kicked them both out; she stole some clothing and electronics from me before leaving town. My ex refused to pay for the damage to my car and called me last week, accusing me of taking more than $10,000 in cash that his parents had given him to buy a new car. I told him he was out of his mind and hung up. He also left a lousy old couch at my place and refused to come pick it up. I asked him if he was ever going to haul it away, and he told me to throw it out. While I was pushing it out to the curb, I found an envelope full of cash under one of the cushions. Yes, that envelope contained $10 grand. Should the letter writer keep it? Should she give it back to the ex, with or without removing $2,000 to pay for the car damage? It’s interesting to read both Prudie’s response and the commenters’ responses. One commenter suggests that the $10,000 might be drug money and that the LW contact the parents to say “hey, I heard you gave Ex $10K in cash and he said he might have left it at my place—should I be looking for it?” It’s an awkward way to ask “did you really give him that money, or was he lying to me again,” but I’m not sure I can think of a better way to phrase the question. What advice would you give this letter writer?